Here we are! Our first ever shared image of one of the concepts that is being sculpted for the Broken. An infantry heavy army, the Broken are made up of desparate individuals who do everything they can to survive. 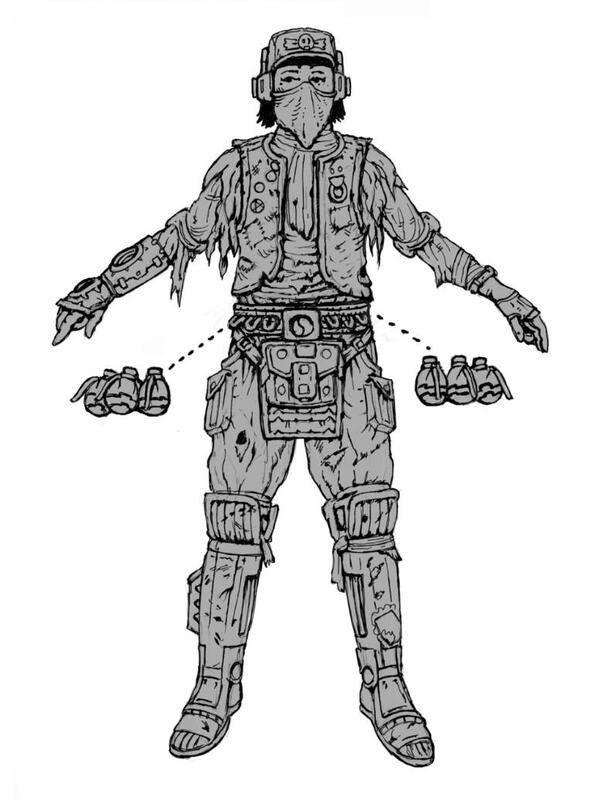 Our initial range will be focused on those who have survived as members of the broken for a generation, with heavily recycled clothing, ragged yet trusty equipment, and a wide variety of poses, weapons and components. New resin release for the Broken: The Hakoyu Grand Master! New Forsaken Tech Chieftain now available! New Forsaken Chieftain for the Broken, now available! New Broken alien - The Marsayan Hypnotist is available now! The Broken's first Elite - The Sig Jammer available now! The Broken - Plastic Ragtag Civilian Models Now Available!